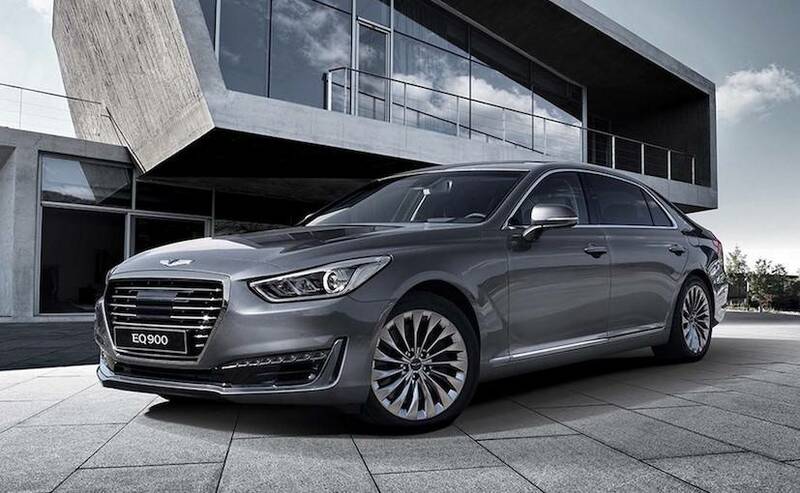 Last year, Hyundai unveiled its brand new Genesis luxury car sub-brand with the first offering being christened the G90. The Genesis G90 does not follow Hyundai's Fluidic Sculpture 2.0 philosophy but instead has been designed to look more commanding and regal. 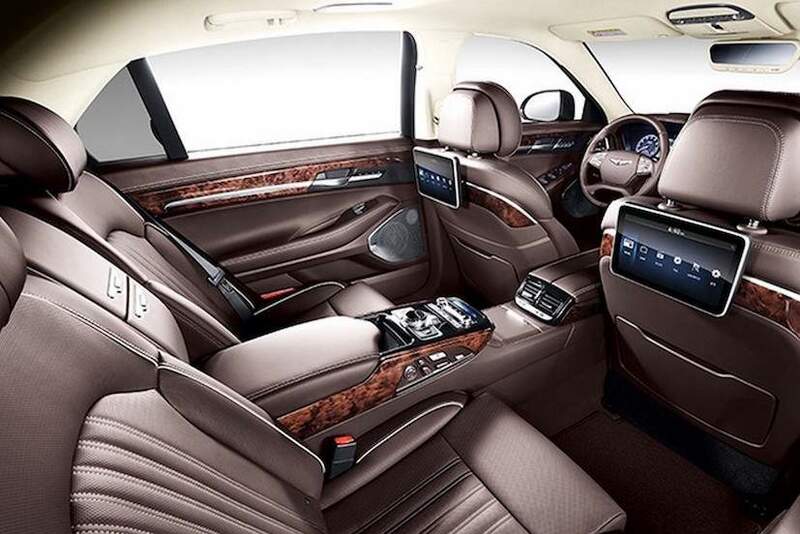 The executive sedan is the Korean carmakers answer to the German dominance as BMW, Audi and Mercedes-Benz have ruled the segment for many years now. The Genesis G90 display at the on-going 2016 Auto Expo has been installed as a crowd puller and has been attracting a lot of eyes at the Korean firm's pavilion. The car features bold lines inspired by the Vision G Coupe concept and features Athletic Elegance design language. The swanky interiors include a 12.3-inch touchscreen infotainment system display, 9.2-inch tablets mounted to the rear of the front seat head-rests for rear passenger entertainment, 3-zone climate control, and double glass insulation for minimized NVH levels. The rear bench features a central console that sits bang in the middle and allows rear passengers to control the electronics of the car. The Genesis G90 is powered by a 3.8-litre V6 petrol unit good for 228bhp and 396Nm of torque. The top-spec version comes fitted with a whopping 5.0-litre V8 that outputs 307bhp and 519Nm of torque. Transmission duties are done by an 8-speed autobox which sends power to the rear wheels although an AWD version equipped with Hyundai's H-TRAC system is also available. As yet, Hyundai has no plans of launching the Genesis brand in India.